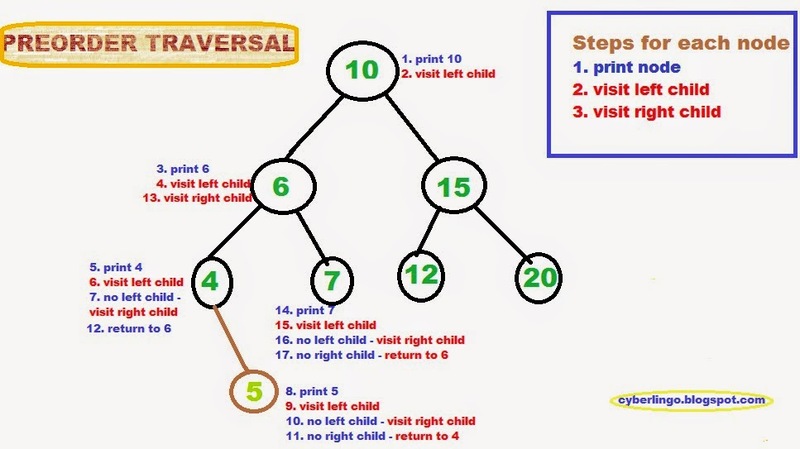 Elementary operations on Binary Search Trees : Traversals (inorder, postorder, levelorder, preorder) | The Daily Programmer '+g+"
In inorder traversal, the node's left child is visited first, then the node, and then it's right child. 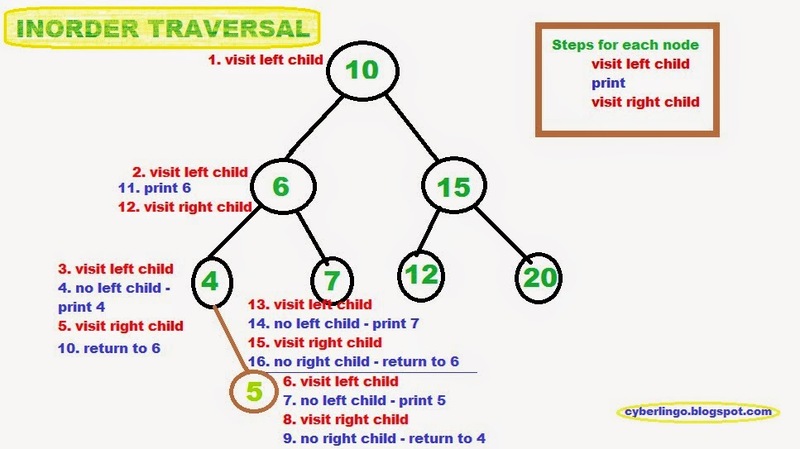 In postorder traversal, the node's left child is visited first, then it's right child, and finally the node is visited. 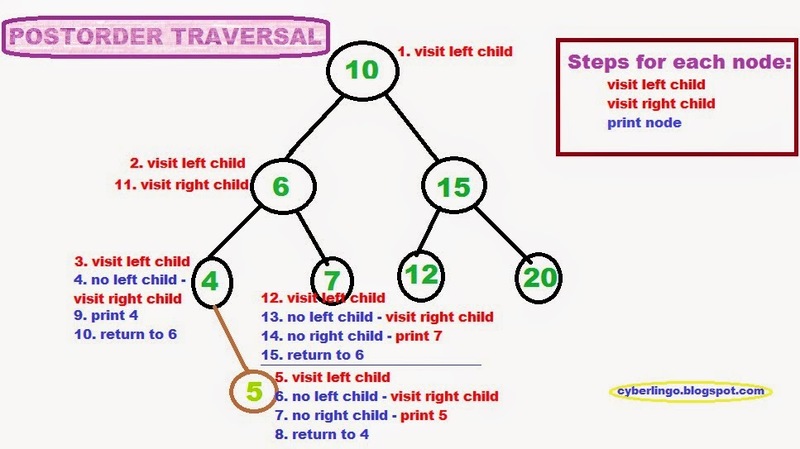 In preorder traversal, the node is visited first, then it's left child, followed by it's right child. Levelorder traversal is easiest to visualise but a little difficult to code (as compared to other traversals). In levelorder, the nodes on each level are visited one-by-one from left to right.